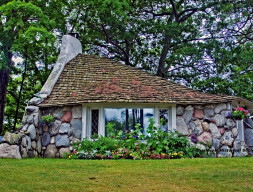 View architect Earl Young’s fairytale stone cottages throughout downtown Charlevoix. Walking tour maps at Charlevoix Chamber. 231-547-2101, charlevoix.org.